The killing of an unarmed black man by a white man in Florida last week during an argument over a parking spot has reignited debates of the state’s controversial "stand your ground" law, which authorities said prohibited them from detaining or arresting the shooter. Flashback: The law gained international attention following the acquittal of neighborhood watch volunteer George Zimmerman in the 2012 fatal shooting of unarmed black teenager, Trayvon Martin. The shooting triggered widespread debate about racial profiling and unjust treatment under the law. 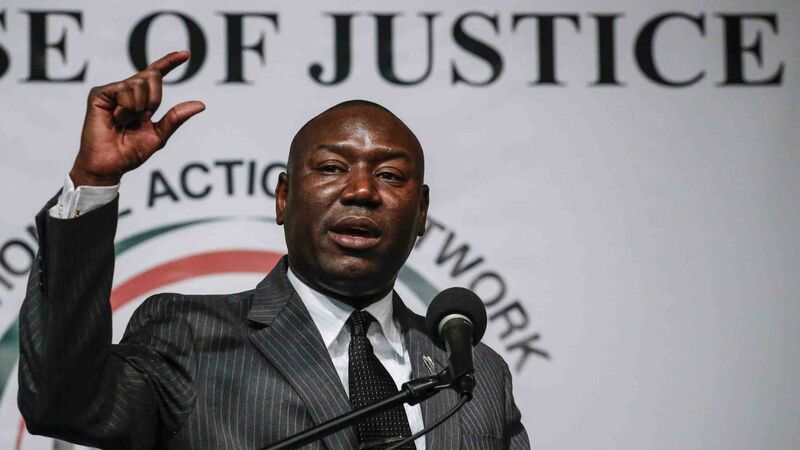 What's happening: Civil rights attorney Benjamin Crump, who represents the family of Markeis McGlockton, the 28-year-old victim and father of three, called for changes to Florida’s stature on Thursday, reports NBC News. Under the law, a person fearing for their life is justified in using deadly force to stop an attack. "It's still ludicrous how you can claim you have fear for your life, yet you approach and start the confrontation with the individuals," Crump said at a news conference, per NBC News. The case: The police report said the deadly attack took place outside a food store after McGlockton's girlfriend, Britany Jacobs, parked in a handicapped-accessible spot while McGlockton and their 5-year-old son went inside. A white man by the name of Michael Drejka then approached the vehicle and started an argument with Jacobs over parking in the spot without a permit. Surveillance footage shows McGlockton walked out of the store and pushed Drejka to the ground. He stepped back and Drejka, sitting on the ground, drew his a gun and fired it once. McGlockton stumbled away and later died from the gunshot wound in the chest, police said. What they're saying: Pinellas County Sheriff Bob Gualtieri had said video appeared to show Drejka protecting himself as the “stand your ground" law allows. But Crump, who represented Trayvon Martin’s family, and fellow attorney Michele Raynor, disagreed with that assessment, saying it was Drejka who initiated the entire altercation, per NBC News. State prosecutors will decide the fate of the case.